Meatball Recipes - 101 Unique Ways to Make Meatballs. Looking for meatball recipes? Everyone has a secret to their meatballs. I soak slices of bread in almond milk instead of using breadcrumbs, others add a touch of cocoa and some people swear that cinnamon is the secret ingredient. You see, the simple meatball, the classic comfort food, is anything but simple. This roundup of meatball recipes grew beyond my wildest dreams. I only included the meatball recipes that I plan to make myself. Please be aware that if an ingredient calls for a non-kosher ingredient, I included it here, marked with an asterisk, because I am confident that it can easily be adapted for the kosher kitchen. Scroll to the end of the post for my notes on how I would do this. Beef is the go-to for meatballs, after all, that’s how Grandma made them, right? Sure. But did Grandma make her meatballs this way? Meatballs and Green Tomato Sauce. I love the sound of this green tomato sauce, fresh from Kitchen Tested’s garden! Albondigas en Salsa Chipotle Meatballs with a chipotle and black bean twist. Paleo Pesto Meatballs and these guys are gluten free too! Farro and Rosemary Meatballs. Now I have a reason to use the Farro in my pantry! Two ingredient lazy meatballs from Busy in Brooklyn. Perfect when you don’t want to cook! Spaghetti and GIANT Meatballs*, just one of the beautiful looking meatball recipes from The View from The Great Island. My Swedish Meatballs, a recipe that desperately deserves a new photo shoot. Sweet and Sour Turkey Meatballs from An Edible Mosaic. These look delightfully healthy! Turkey, Apple and Sage Meatballs. Turkey and Apple make an awesome combo and Foods, Words & Photos is rocking the sage! 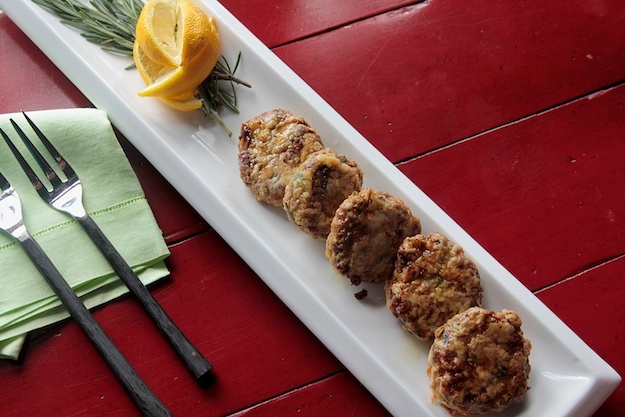 Turkey and Apple Sausage Bites are so quick and easy to make in a pinch. Grandma’s Meatballs from Macro Mama and the first recipe that uses oats and grapeseed oil. Rosemary and Honey Meatballs for a sweet new year, the perfect summer supper. Spicy Turkey Meatballs with Panko Crust. I am loving the spicy surprise here. Champagne Turkey Meatballs. Elegance shaped like a meatball. Thanksgiving Meatballs. Jewhungry. this is inspired! Perfect with my Stuffing Muffins for a finger food Thanksgiving dinner! Apple Whiskey Chicken Meatballs*. These cocktail meatballs have a good look glaze on them. 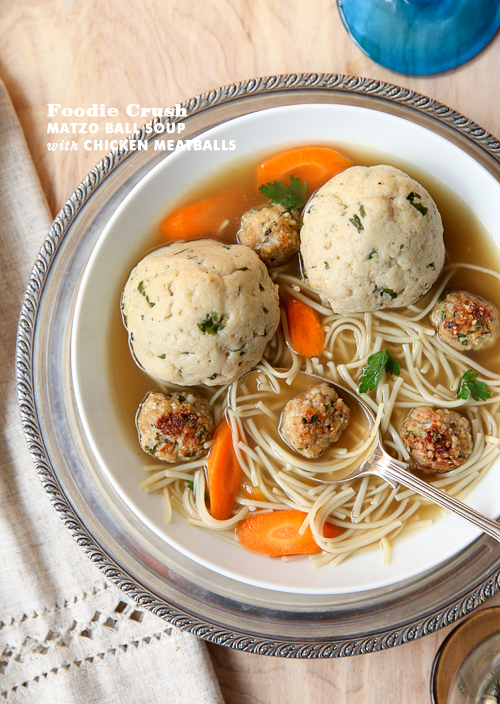 Matzoh Ball Soup with Chicken Meatballs, my new favorite soup recipe from Foodie Crush. Juicy Chicken Meatballs with Mashed Peas. These are really colorful and have an impressive combination of flavors. Greek Chicken Meatballs* a dairy-free version of this dish would be a wonderful treat. This is at the top of my “must make soon” list. Moroccan Lamb Meatball Tajine made with grass fed KOL Foods lamb. A very recent recipe of my own, and one that I plan to repeat over and over again! 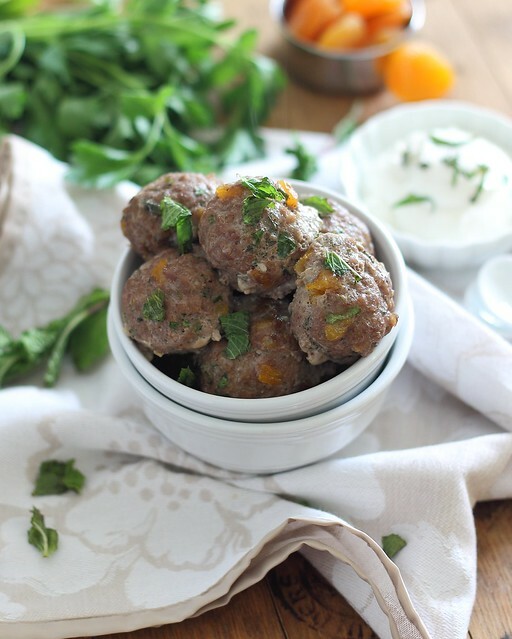 Greek Meatballs with Mint and Dried Apricots* Shared by Running to the Kitchen and making me aware that I need to explore more Greek recipes. Melt in Your Mouth Veal Meatballs with step by step photos from Busy in Brooklyn. Lamb Meatballs with FIYAH Jelly and Chive Yogurt Dipping Sauce*. I’m into this spicy hot meat with cool dipping sauce combo from The Hungry Goddess. This is the most inventive and exciting part of this roundup. 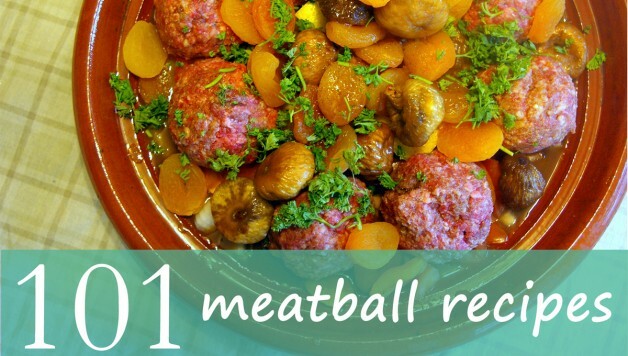 I love the different un/meatball options that I came across while researching this post! Eggplant Meatballs from Lexi’s Clean Kitchen. Veggie Meatballs. Check out the crispy crust on this Diethood recipe. Beetballs. Part meatball, part sausage, and any recipe that uses golden beets is a recipe I want to try. Quinoa Veggie Meatballs from an old version of The Small Boston Kitchen (and the new site is here). Sweet Potato Quinoa Burgers. I know, not really a meatball, but check out those photos! I’m not one to cook with cheese. My vegan cheese sauce is a go-to dairy-free replacement. If you’re dairy free or cooking in a kosher kitchen, you could make a un/meatball with these dairy options, or choose a dairy free alternative. Scroll to the end of the post for my notes on how I would adapt these recipes for a kosher kitchen or just sit here and drool over these pictures of meatballs that you might never eat. Extra Garlic Meatballs*. 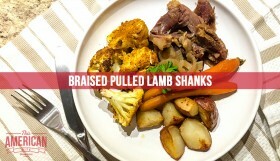 This might be the most non-kosher recipe in this roundup, but replace the pork with beef or lamb and use almond milk. That much garlic has to be good! Meatball Bites*. Originally posted for appetizer week, and I can see why. I’d replace the milk in this recipe for almond milk and use Daiya Vegan Shreds in place of the mozzarella. Healthy Baked Meatballs*, tremendous respect to Tried and Tasty for this grass-fed beef recipe. Kickin’ Meatballs with Garnished with Parmesan Cheese* by Yours and Mine are Ours. Most people think of Italy when they think of meatballs, but we’ve been around the world with this roundup. Kofte de Pirasa from the very talented Kosher Like Me. I’m not waiting till Passover to make these! Moroccan Lemon and Cardamom Meatballs*. I’m loving the tahini in this recipe. 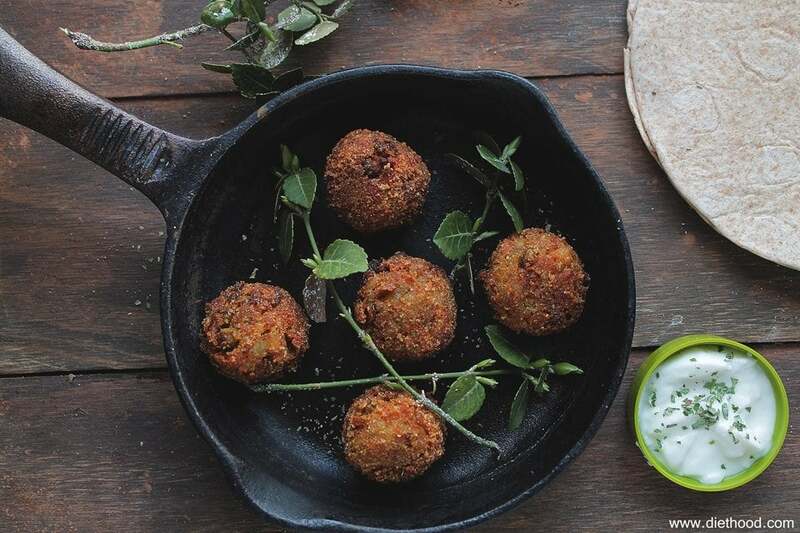 Keftes (Syrian Meatballs) from The Kosher Foodies. This sauce is perfect with a beef-lamb meatball combo. Easy Asian Chicken Meatball Stir Fry with Spring Vegetables from Apron Strings. Rice Noodle and Turkey Noodle Bowl with a nice side of green veggies. Orange Teriyaki Slaw Stir Fry with Orange Sriracha Turkey Meatballs. 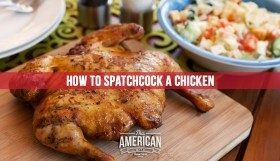 That slaw would pair well with any poultry dish too. Spicy Sriracha Spaghetti and Meatballs*kicking it up a notch with Cooking on the Weekends. 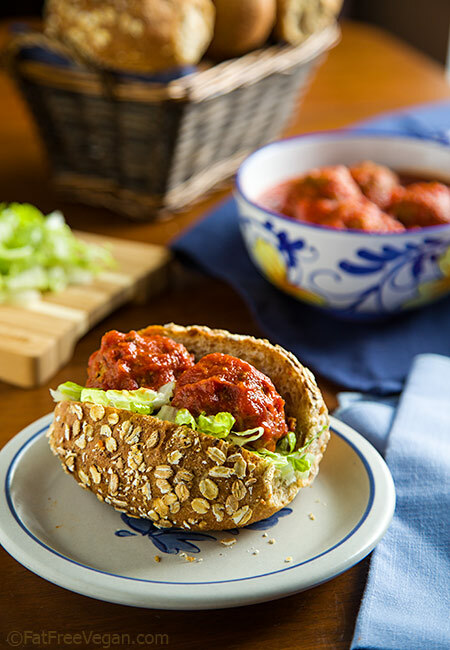 Paleo Meatball Subs by Lexi’s Clean Kitchen. This is the best-looking gluten free sandwich I have ever seen. Quinoa Meatball Sliders*. Most of the recipes I came across that used quinoa were for vegetarian meatballs. Ths is a nice way to go. Gluten Free and Vegan Meatball Mix for the good looking veggie-subs! Pomegranate BBQ Sauce Meatballs at Joy of Kosher, with pomegranate molasses and red wine. 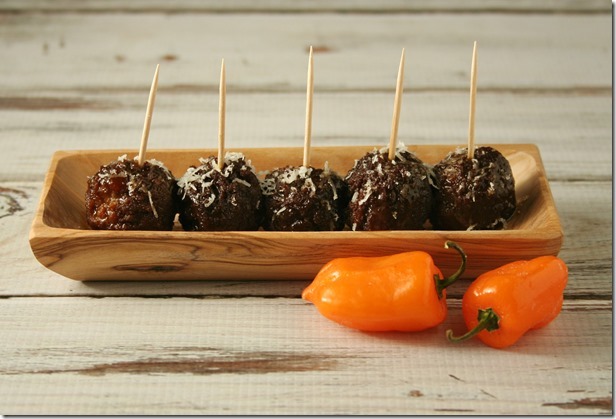 Pineapple BBQ Meatballs* are another fruity way to spice up your BBQ. BBQ Turkey Meatballs. 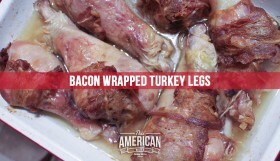 Just one more reason that Turkey is a great meat for BBQ. It’s Five o’Clock Somewhere Bourbon Meatballs. Can you tell that I’m a little obsessed with this blog now?! Make it in the morning and eat it at night. One of my favorite ways to cook. Slow Cooker Spinach Meatballs and Spaghetti Squash. 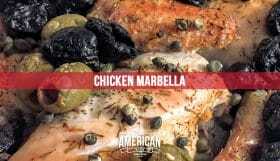 This is a recipe I’ve made at home (see the stop motion video), and it works well in a slow cooker and a dutch oven. I haven’t made spaghetti squash any other way since Kitchen Tested first posted this. Slow Cooker Moroccan Meatballs. What a great combination of flavors from What Jew Wanna Eat. 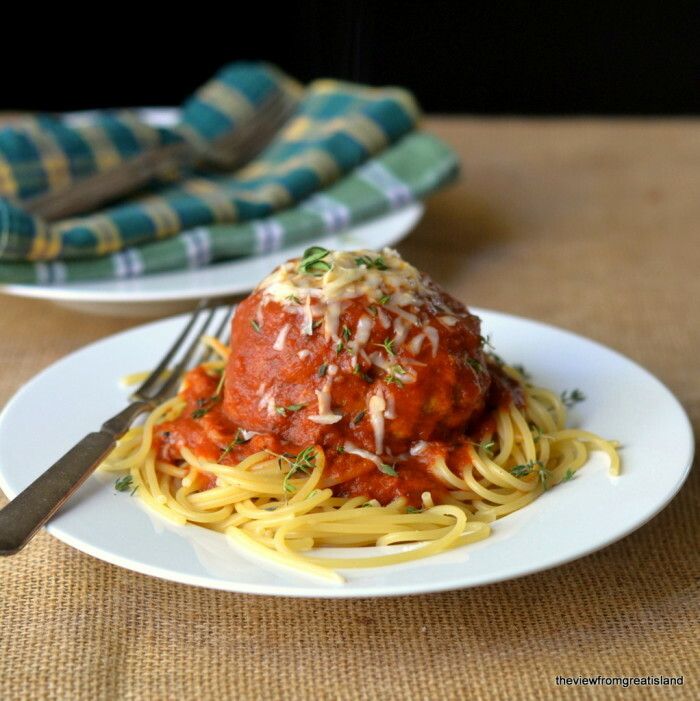 Healthy Crockpot Turkey Meatballs in Tomato and Spinach Sauce by Overtime Cook. Klops (Jewish Meatballs). I have a memory of klops being meatloaf, but I may be mistaken. Some of the recipes above call for dairy ingredients or other things that won’t work in a kosher kitchen. Here are some of the ways I suggest you adapt the recipes if you need to. Often, cheese is used as a garnish rather than a primary ingredient. When that’s the case, skip it. In the US, Daiya Foods make a great range of dairy free cheese that melts just like the real thing. You can also make your own cashew cheese sauce. Milk is an easy one to replace! Coconut milk and almond milk are your friend. There are many dairy free alternatives that work well in almost any recipe. If a recipe calls for butter, you could substitute coconut oil for a healthy dairy-free alternative. Pork is often a secondary meat in many of these recipes. You can either double the primary meat, or turn the recipe into a beef and lamb combination. Some Worcestershire Sauces are made from anchovies or fish. If you have concerns about mixing fish and meat, Wan Ja San make a 100% vegetarian sauce (available here via Amazon or Whole Foods). You could also replace with soy sauce or coconut aminos, the flavor will be a little different, but it’s a good second choice. What have I missed? Let me know which of these recipes really speaks to you in the comments, or add your own! If one of these meatball recipes perhaps I’ll make a version of my own and post it here.